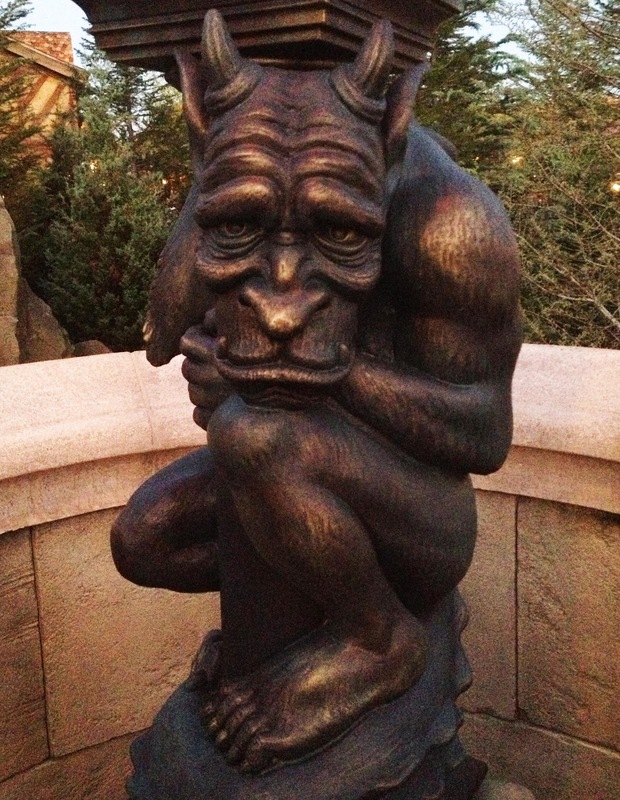 He is one of the gargoyles at the entrance to the Be Our Guest Restaurant in the New Fantasyland at the Magic Kingdom in Disney World. They actually had a goblet to purchase with this gargoyle holding up the cup. I use it to try my new beers... not really good luck, but a cool thing to do. Well, maybe.